Luxury in Southern Africa ('LISA') is the only online directory and booking site that exclusively features 5 star accommodation establishments in Southern Africa, East Africa and the Indian Ocean Islands. 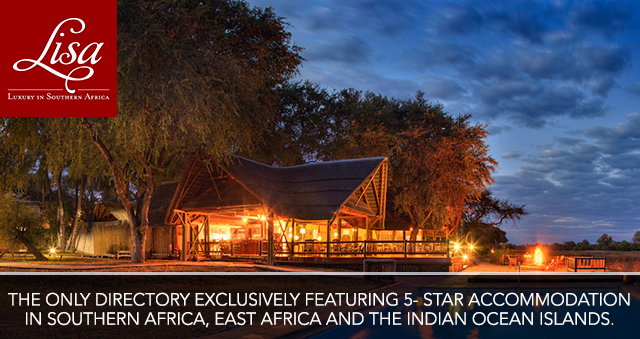 LISA provides an impressive range of 5-star accommodation from hotels, safari lodges and private villas to tented camps and secluded private islands. All relevant property information can be found on a single website, with listed properties being presented in a visual and informative manner through a combination of images, videos, interactive maps and TripAdvisor reviews.